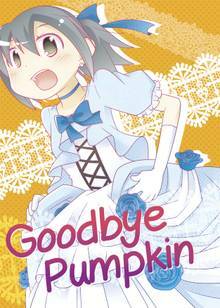 [Free Books] Goodbye Pumpkin｜MANGA.CLUB｜Read Free Official Manga Online! Every October, Masaka and her parents visit her grandparent’s house, and each year, they bring a small orange pumpkin with them. What Masaka looks forward to most is meeting her relative called Isuke. Masaka has a crush on Isuke and wishes she could play with him much more than just once a year. However, unknown to Masaka, there is a secret to Isuke and the pumpkin they bring each year. This was an adorable story that surprised me with that end. The characters interact with each in a fun way which makes me feel invested in reading more about them. Interesting, I wasn't expecting that twist and it was all rather sweet and cute. The story's summary pretty much says it all. Very cute, pacing was just right, though I wish it had an epilogue chapter.